Inside Texas’ Eric Nahlin ranks the top 100 players in the state of Texas in the 2019 class accounting for variables such as position projection, fit for a program, and future athletic development along with a prospect’s measurables and film. 25. LB Steven Parker, South Oak Cliff (Dallas) – KANSAS: Parker is a tough, coachable kid with a frame nowhere near its landing spot. He’s naturally strong with great length and bend. He’ll be put in a position to succeed early in his career and we’ll see substantial differences from his freshman to junior year, developmentally speaking. The weight room will be kind to him. 24. DB Marcus Banks, Dekaney (Spring) – ALABAMA: Banks has great hips and man coverage skills. He needs to become more physical but that will come with strength and culture. 23. DB Lewis Cine, Trinity Christian School (Cedar Hill) – GEORGIA: He and Williams are similar in that both played against poor competition. They differ greatly in that Cine is much more raw while Williams will be ready to play as a freshman. I think Cine has the athletic attributes to be a good one, including fluidity in coverage, but he’ll have a ways to go from a technical standpoint. 22. RB Isaiah Spiller, Klein Collins (Spring) – TEXAS A&M: Similar to Keaontay Ingram in running style, he’s just not quite as quick. Spiller also has nice hands and should be used out of the backfield. Young for his grade so we could see a big jump in physical maturity in the next year. 21. WR Elijah Higgins, Bowie (Austin) – STANFORD: Higgins has fantastic quickness and fluidity at his size but needs to stay healthy. His value will be moving around, inside and out, to take advantage of match-ups. His big frame is going to fill out nicely but he won’t want to get too much bigger. 20. 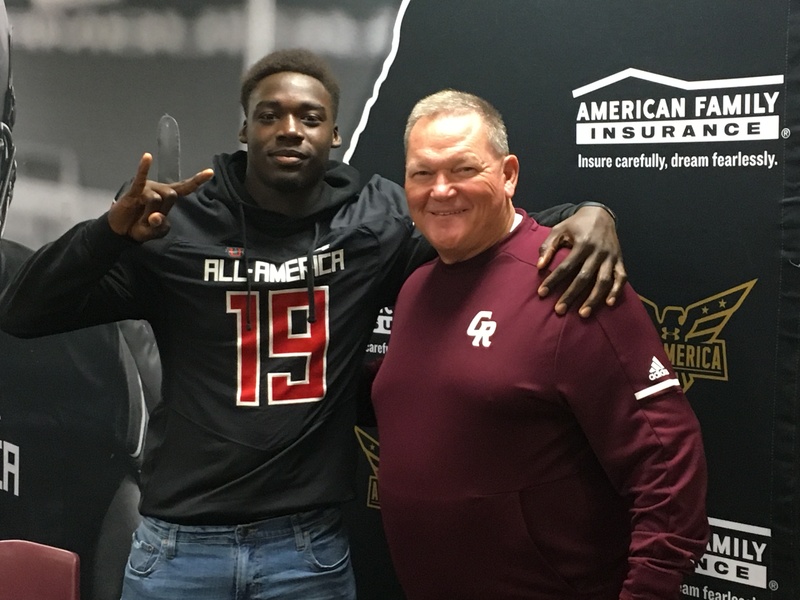 LB David Gbenda, Cinco Ranch (Katy) – TEXAS: The rare inside linebacker who can run sideline to sideline, Gbenda of course is good downhill too. He seems to diagnose quickly and must be accounted for as a blitzer. My buddy who coaches in that district said he was the best defensive player they faced. There’s quite a bit of talent in that district. 19. DB Brian Williams, Bishop Dunne (Dallas) – TEXAS A&M: Dunne guys always use their eyes well in coverage, and it also helps they’re given lollipops thanks to the poor level of competition, but that written, Williams is good at seeing routes develop and reading the quarterback. I have him lower than some just because I don’t think he has quite the athletic upside. 18. 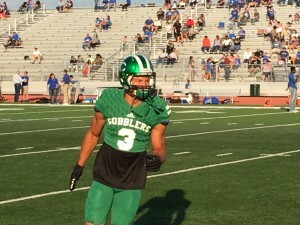 WR Trejan Bridges, Hebron (Carrolton) – OKLAHOMA: He’s a good athlete, especially in the air, but what makes him special are his hands and ball skills. He’s the best in the state in that regard. 17. DL T’Vondre Sweat, Huntsville (Huntsville) – TEXAS: Played defensive end in high school where we are able to gauge a lot of “smaller man” traits, but at minimum he’ll be a player moved up and down the line like Leal. He most likely plays around 300 pounds. Great motor, play-strength, and good mobility. Just a little tightness and twitch separates him and Leal. 16. WR Dylan Wright, West Mesquite (Mesquite) – TEXAS A&M: Perhaps the most upside of any receiver in the class, his floor is just considerably lower than Wease’s. Can stretch the field vertically with speed or dominate with size. Needs to more consistent but all the ability is there. 15. OL Branson Bragg, Crandall (Crandall) – STANFORD: Excellent get for Stanford as Bragg nearly has tackle athleticism, great size for the interior, and the brains for the mentally taxing position of center. 14. DB Jalen Catalon, Legacy (Mansfield) – ARKANSAS: Catalon missed nearly the entire season as well. Where guys like Richardson and Owens are freaks with their size and athleticism, Catalon looks more unassuming, but don’t be fooled. He sees the game as well you can in the back end, and has good quickness to turn what he sees into a turnover or big hit. 13. DB Jamal Morris, Fort Bend Bush (Richmond) – OKLAHOMA: Morris is just what the doctor ordered for Oklahoma. He can run, turn a team over, comes downhill aggressively, and is a good striker. He’s a really good all-around safety. 12. DB Demani Richardson, Waxahachie (Waxahachie) – TEXAS A&M: Much of Richardson’s senior year was lost due to injury otherwise he’d probably be higher. Richardson is an even bigger version of Young meaning linebacker may be on the table. He would be a sensational athlete for the position but that would bring even more projection. Richardson has tons of positive traits on display on offense that will transfer to defense. 11. DB Erick Young, Fort Bend Bush (Richmond) – TEXAS A&M: I have him as a safety because of his size. At already 208 pounds and genetics that are going to take kindly to S&C it’s hard for me to see him sticking at corner. Aggies not even considering the possibility of safety are delusional. Assuming he makes that switch, the coverage traits that would go with him could make him exceptional in coverage. He’s a naturally physical player. 10. DB Tyler Owens, Plano East (Plano) – TEXAS: Freak athlete with freak length. Owens’ junior tape was average but his senior year displayed a much more confident and assertive player putting his extremely rare traits together. A 6-foot-2, 195 pound safety running a 10.34 100? This year he played like it. 9. 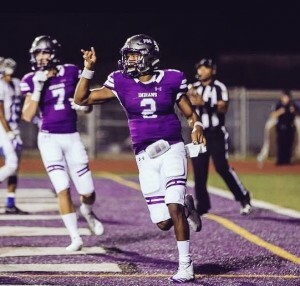 QB Roschon Johnson, Groves (Port-Neches) – TEXAS: His only question is arm strength and if that’s your only question you should have plenty to compensate for it. He’s a perfect fit for Tom Herman’s offense and program. 8. CB Jeffrey Carter, Legacy (Mansfield) – ALABAMA: With his raw athleticism and 40″ vertical, Carter reminds me of former Longhorn Curtis Brown. He has as loose of hips as you’ll find and exceptional make-up speed and ball skills. If he hammers down technique he could be a first rounder. 7. TE Baylor Cupp, Brock (Brock) – TEXAS A&M: This is probably the best fit in the class. Everything Jace Sternberger did in his fine junior season can be duplicated and then some by Cupp in the coming years. On top of it, A&M was his dream school. He has a very big frame and good hands, but it’s his quickness at 6-foot-6 that makes him special. 6. OL Tyler Johnson, Oak Ridge (Conroe) – TEXAS: I struggle with who has more upside between Johnson and Green. To me, Johnson is a little more athletic making it easier to see him at tackle in college and beyond, but guard might be his home too. He showed a nastier streak this season. He’s good in space or on the pull and should be a good drive blocker. He should have the ability to create creases with quickness and power. 5. WR Garrett Wilson, Lake Travis (Lake Travis) – OHIO STATE: Wilson is typified by short area explosiveness, whether moving directionally or elevating, and ball skills. Those ball skills and leaping ability allow him to play much bigger than his 6-foot height. The main question with him is can he be more dynamic after the catch? 4. OL Kenyon Green, Atascocita (Humble) – TEXAS A&M: I’ve always called him a guard because when you evaluate you first consider ceiling (and body type). That doesn’t mean he can’t play tackle, especially given A&M’s needs. He does bend well, has nice feet, and competes. I saw his team down by 30 his junior year and he was going as hard late in the game as in the beginning. Good sign. I bet he’s a good tackle at A&M and good guard in the NFL. 3. 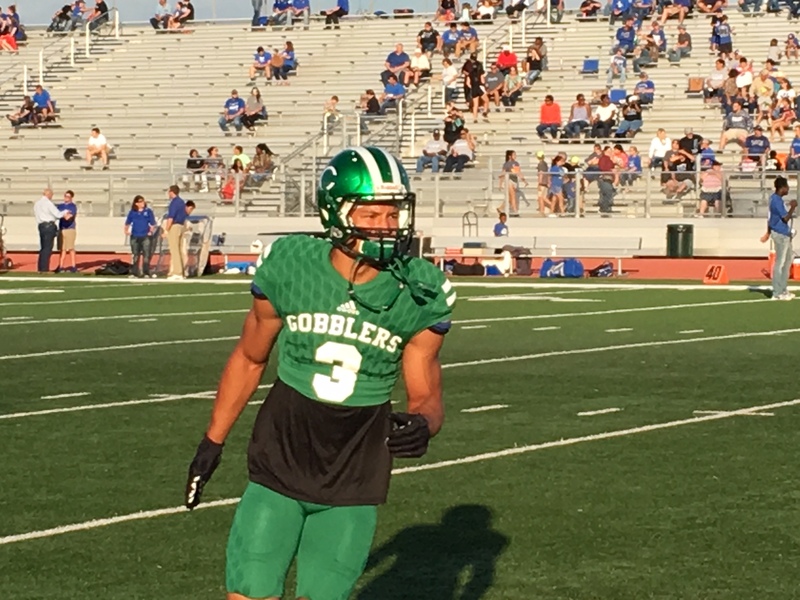 ATH Jordan Whittington, Cuero (Cuero) – TEXAS: In my years doing this I can’t recall a player like Whittington. He could credibly be considered a four-star at running back, wide receiver, safety, and even linebacker if he had any interest in that position. He doesn’t, but that tells you what direction his body is headed (220 pounds). He combines exceptional quickness with fluidity not typically found in such a densely muscled prospect. Like Wease, he’s a savvy receiver with great, attacking ball skills. He’s a bit of an unknown as a running back, but in a varied role it’s easy to see him racking up yardage. 2. WR Theo Wease, Allen (Allen) – OKLAHOMA: Theo Wease is as natural a receiver as you’ll find with the short area quickness to get open and good enough speed to be a deep threat. He can beat you in just about any way imaginable, including with his head. Has possession receiver hands. Makes the acrobatic catch. He reminds me of a combination of OU receivers Charleston Rambo (savvy, great hands) and CeeDee Lamb (ability to dominate). Wease can align at any receiver position, but they’ll like him on the outside. 1. 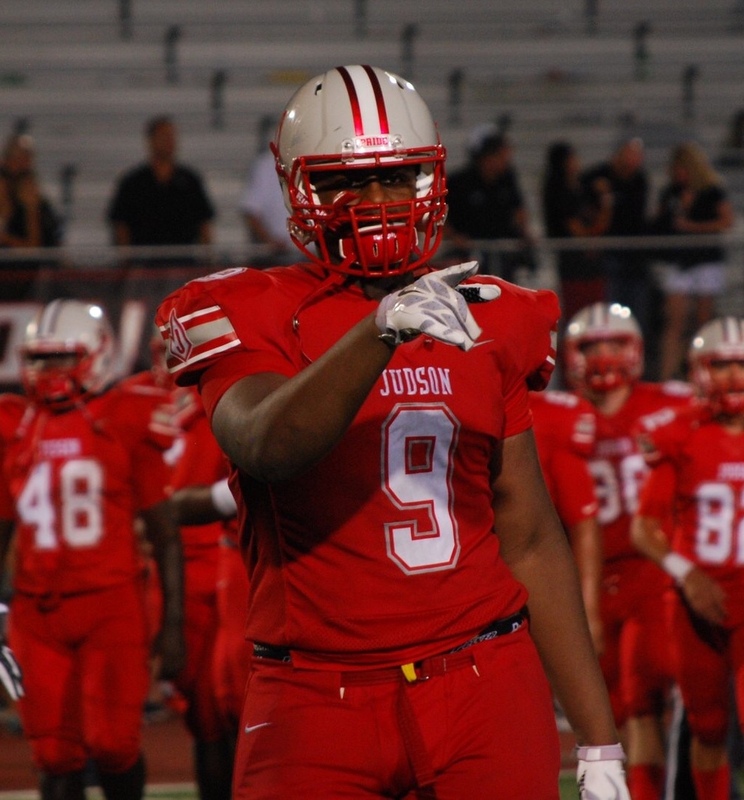 DE DeMarvin Leal, Judson (Converse) – TEXAS A&M: He’s the most uncommon player in the state, a rare find with his blend of size, mobility, and twitch. He’s a great fit for the Aggie defense as he profiles similarly to Justin Madubuike. Getting a pass rush from an interior position isn’t easy to do, but Leal can beat blockers with quickness, power, and sometimes motor.